Learn how to organise your study and measure your results with ExamTime study hacks. In our last study hack, we explained the benefits of Online Quizzes Vs Offline Quizzes. This time we focus on how to organise your study and successfully monitor those results, two of the most important factors in reaching your academic goals. In order to achieve this, ExamTime subjects will become your focal point. ExamTime subjects have a number of functions that will help you achieve better results. Keep reading to find out how. Study, as we understand it here at ExamTime, should be an active process. This involves constantly creating new resources but also reviewing resources you have already created. For example, when you attempt a quiz within a subject you have created, your results will be tracked over time so you can monitor your learning progress. Similarly, you can track your attempts of flashcards using the “I Know” and “I Don’t Knows” buttons plus the completion of a mind map using the tracking feature. This is really useful if you have outlined a topic in a mind map and want to tick off sub-topics you have studied. You can find this information by visiting the “Analytics” tab within any of your subjects. This will show a summary of your activity including your score on each resource, amount of views and your average score across attempts. It’s important to break up your study plan and divide it into subjects. Generally, students will have several subjects with each of them having different needs. It is important to plan and correctly identify the time spent on each section. With ExamTime, all users have a “General” subject by default. However, we recommend that you create your own subjects and organise your resources properly within them to really improve results. Unless you allocate resources to a specific subject, they will automatically be saved to the ‘General’ folder. So, when you create a Maths folder, why not add Trigonometry and Algebra resources to it. Similarly with a language, once you have created a folder for that, start adding your vocab Flashcards to it and so forth. Dividing your resources within your subjects is the next step in organising your study. Another one of the ExamTime features is that you can further filter your subjects, this time by ‘Topics’. Say for example you have a subject for ‘languages’. You can also add topics such as ‘vocabulary’ ‘reading comprehension’ or anything else you feel like adding for even greater transparency. These topics do not have to match your subjects ‘official’ title. You can name them however you want, adapting them to your way of thinking. To create topics within a subject, simply enter the subject and select ‘Add a new topic‘. You can create as many as you want! Once you have your study resources categorised, you can then take advantage of the study calendar. To access it, simply click on the ‘Calendar’ button in the top menu (right next to subjects). Once there, you’ll see all of your subjects in the left column and a calendar with the current week on the right hand side of the screen. The process then is very simple, drag your subjects over into the calendar and add information such as title, subject, topic, notes, start time, end time, etc. This allows you to organise your subjects in a simple and visual way. In addition to that, you can check how much time you have allocated to a subject by clicking on ‘Subject Breakdown’. 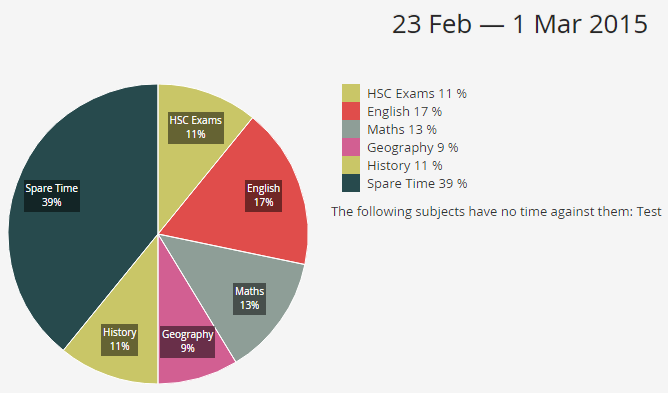 This feature allows you to analyse how well you are dividing up your time between each subject. If you need more information or tips on how to create your own study calendar, read this article. 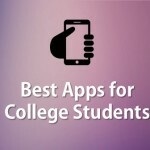 There is one last feature in your arsenal of ExamTime tools that can really help you. Its called ‘Related Resources’. 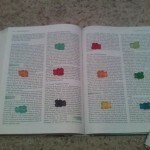 This tab can give you the boost you need during your study. The ‘related’ button analyses the tags on resources in the subject you are studying and from that gives you recommended resources. These resources have been created by other ExamTime users and are resources that are related to your area of study based on the tags you have assigned to your resources. Don’t forget to properly label your study resources; this will allow our search engine to gain an understanding of what areas you are studying and then provide you with even more accurate related subjects later on. Using the tips outlined above will help you understand how effective your study time has been and what progress you are making through time allocation. But what if you want even more information? 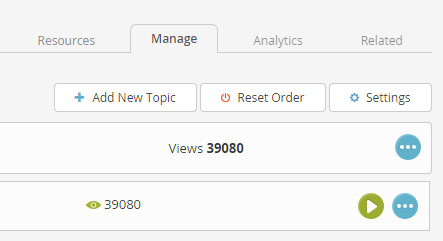 For example, using the various filters in the ‘Analytics’ section, you can sift through each of your resources based on how many views they have received, how many tags you have given them and what scores have been obtained. This is a great way of seeing the true value of your resources. Remember, learning is a continuous process. We must study daily, analyse your results regularly and re-create themes and study methods to improve on our previous results. How are you using ExamTime to optimise your study? This entry was posted in ExamTime Blog Posts and tagged e-learning, exam tips, Study Hacks, study tips. Bookmark the permalink.